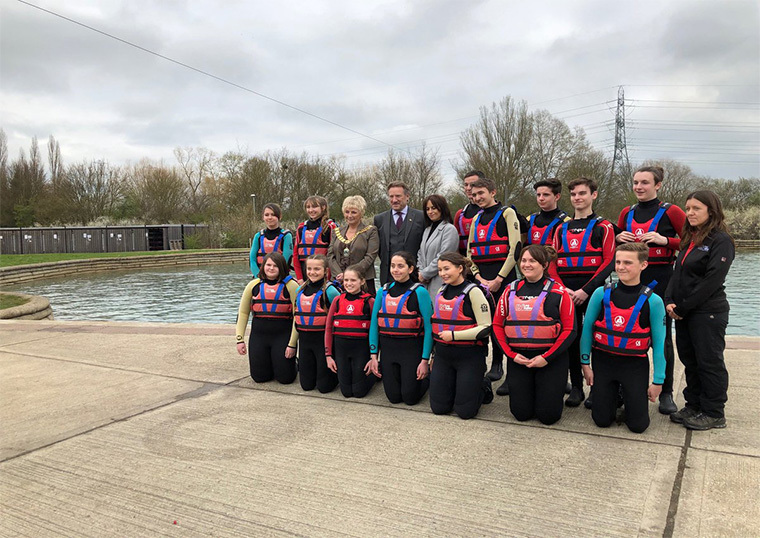 21st March-The Lord-Lieutenant visited the Robbie Lea Water Safety Partnership Engagement event at Lea Valley Water Centre. 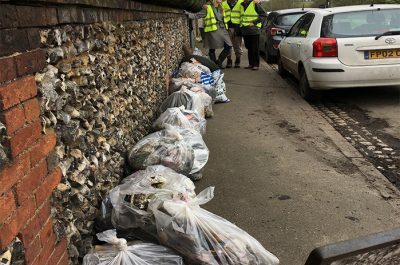 The initiative was set up by Sarah Lea whose 16 year old son Robbie drowned in 2017. 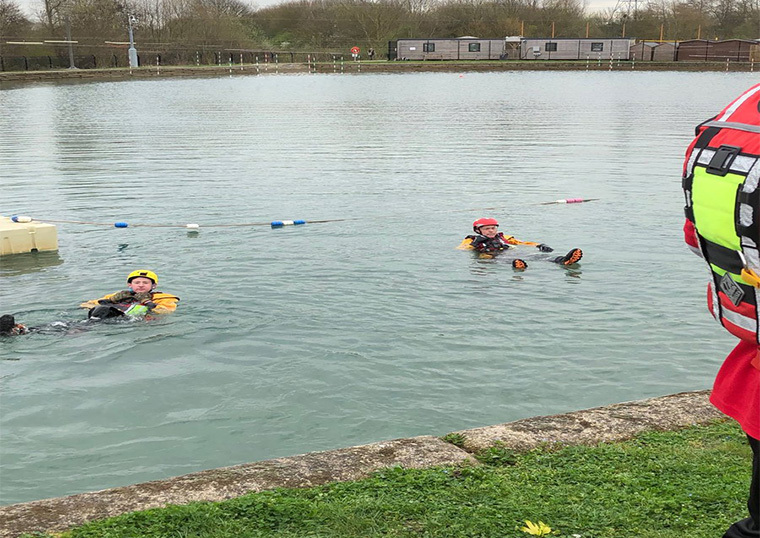 The partnership brings together a number of agencies including the Police, Fire and Rescue, RNLI, Crucial Crew, Canal and River Trust and others and aims to educate children about the dangers of swimming in open water. 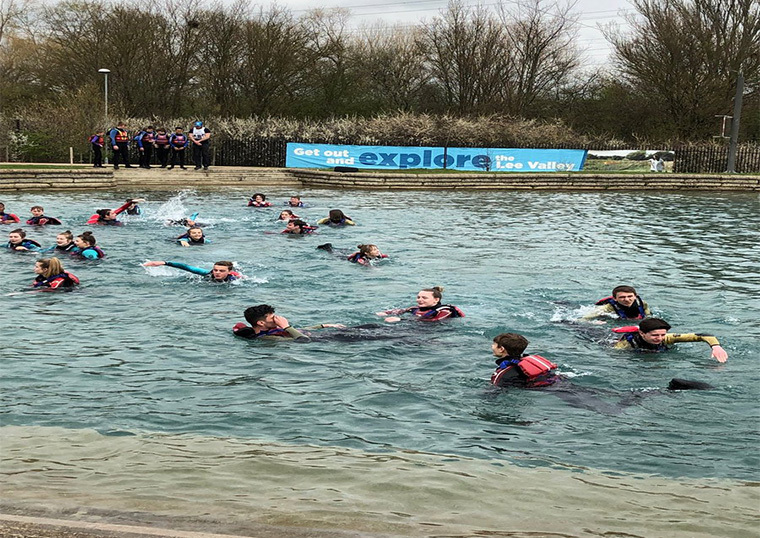 There were numerous demonstrations around safety in water culminating with many of the children getting experiencing swimming in cold water. 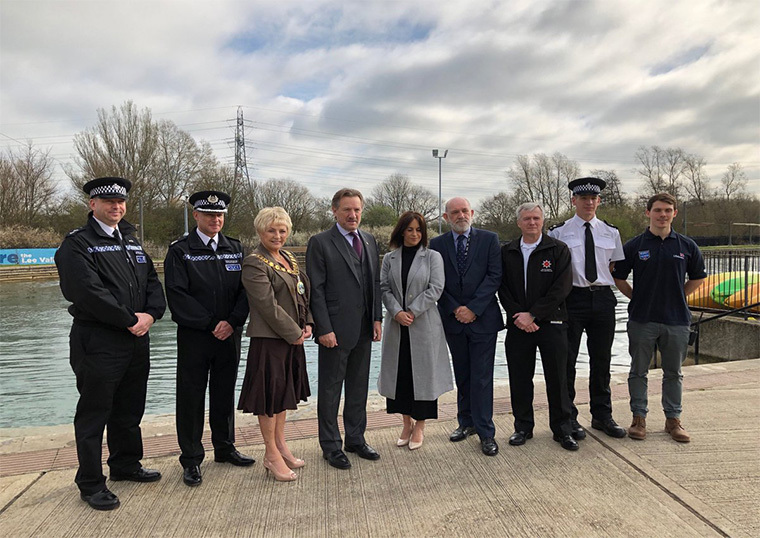 The Lord-Lieutenant was most impressed with how this initiative has taken off and looks to support its continued expansion. Interestingly the air ambulance that attended Robbie in 2017 was piloted by HRH The Duke of Cambridge.